No matter what the holiday, I’m pretty sure Hallmark is a big part of it. They have beautiful cards but they also have Valentine’s Day gifts as well. I was sent a few of their new items to try out and to give to my little Valentine. Hallmark really does have a card for everyone! 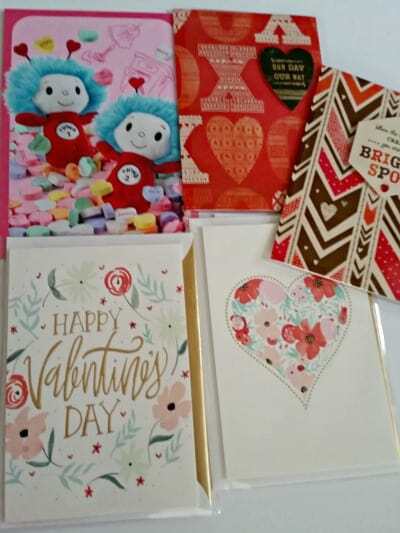 I was sent 6 of their new cards for Valentine’s Day, including cards from the Signature collection, all-new itty bitty Valentines and new cards from Hallmark designers Justin & Tuesday Spray. I thought the Thing 1 and Thing 2 card is perfect to give to my daughter. They have some beautiful cards that I can send to my Mom and my girlfriends. There was a perfect card to give to my fiancé. It really described us as a couple perfectly. There was also a card with a Darth Vader itty bitty that he may be getting as well. 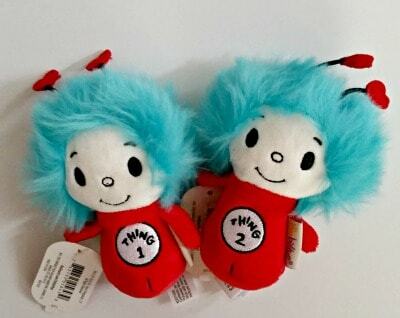 I was also sent the new Thing 1 and Thing 2 itty bittys. They are so cute and the perfect size for my two year old to carry around. I love that they have little hearts for antenna. My toddler likes carrying them around and cuddling with them. She loves watching the Cat in the Hat cartoon so these are great! 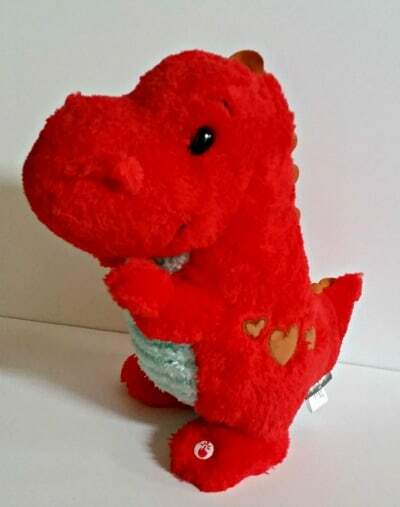 We also received the new Love-a-Saurus Techno Plush. This little guy is really cute! He sings a song to the tune of “Can’t Touch This” by M.C. Hammer. My daughter loves this. She is getting really into dinosaurs for some reason so this was perfect for her. She likes dancing along with him. I have a cute video on my Instagram of her dancing with the Love-a-Saurus that you should check out if you want to see him in action. I thought all of these Valentine’s gifts were so cute and would really brighten up anyone’s day. You can get them all at Hallmark.com and in Hallmark Gold Crown stores nationwide. 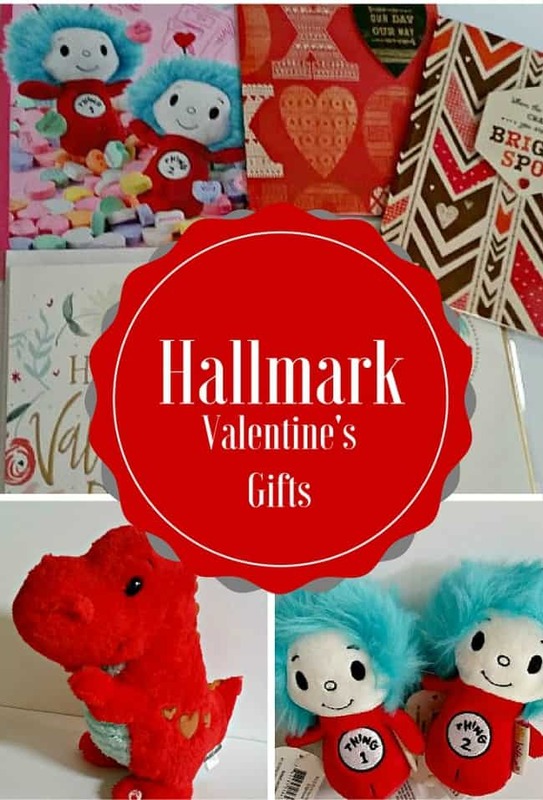 Hallmark is going to offer one of my readers the chance to win a Valentine’s Prize Pack! You can win a pair of Thing 1 and Thing 2 itty bittys, along with a pack of Valentine’s Day greetings and an extra “every day” itty bitty to share a little love with someone special whenever you’d like. This is open to US residents only. Just fill out the form below to enter. Valentine’s Day falls in the middle of our daughters play production so we won’t get to do anything too crazy. We don’t have any plans. My husband has to work so I will probably take my son out for lunch. We are gong to church, probably out with friends for lunch then meeting our realtor. Married almost 40 years Valentines Day is not such a big deal except for gifts I give grandchildren. I plan on spending the day with my mom and sister. Going to church with my family and exchanging gifts with my boyfriend. We will be staying in for Valentine’s Day. It is our anniversary so I will make a nice dinner and a heart shaped cake.